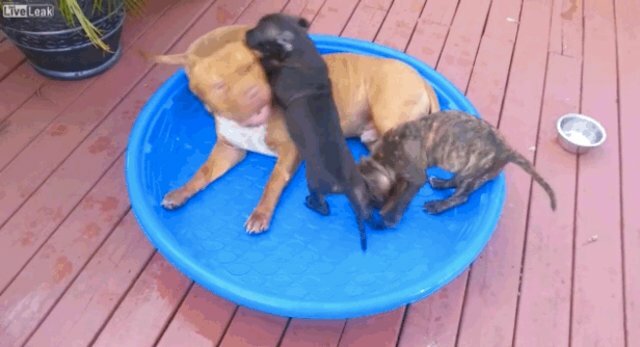 Pit Bull dad Zeus is having a chill summer day babysitting his pups Hercules, Apollo, and Achilles. 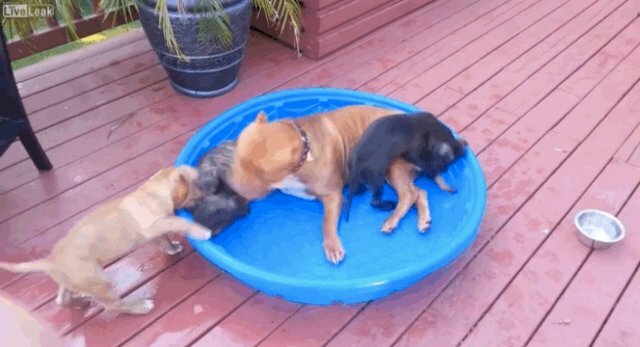 Zeus and his boys don't even need water in their pool to have a fun time! 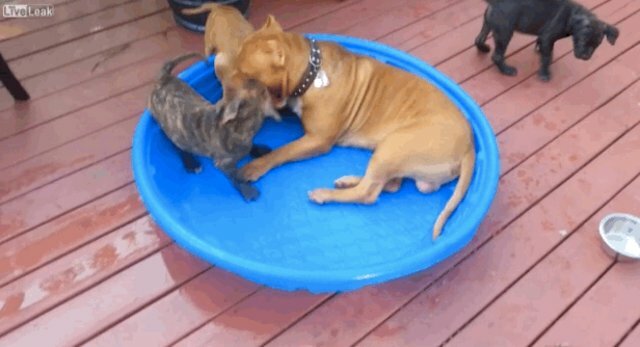 There are many stereotypes which characterize pit bulls as aggressive, violent dogs. But Zeus plays with his pups like a champion dad, showing the utmost patience with his feisty boys. It should be noted that literal dog piles are one of the best things to naturally occur in this world. 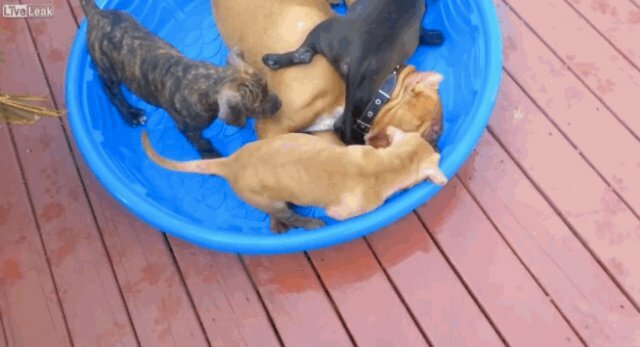 Zeus flops over because he can't even handle how cute his puppies are. Good job being a great dad, Zeus! Watch the LiveLeak video in its entirety here!